We are currently involved in teaching, evangelism and discipling through the Basic Concepts Course from our base and in the local churches. 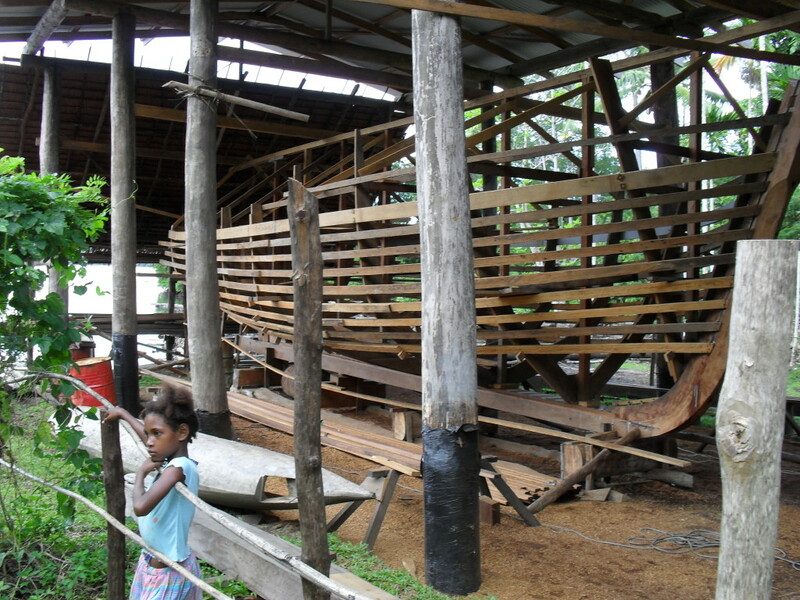 Travel between villages and towns is often only possible by sea (or air) due to the heavily forested hills, which is why much of our ministry revolves around teaching good seamanship and showing them how to build safer, more capable boats. Our first boat building project underway. We will be based in Misima Island, mainly in Bagilina Village and working together with the United Charismatic Mission which has six congregations on the island. Our focus will be to work among younger people regardless of denomination, and to invite them via their pastors to attend our Basic Concepts Course mixed with a sailing adventure and then to help them cultivate generosity by working with poorer subsistence families for a few days in their gardens. Teach ministry and practical skills such as seamanship, boatbuilding and mechanics to enable their ministries to stand up financially and be effective. Install satellite communications at the base, both for emergencies and to enable further advancement of the mission. Work to facilitate better healthcare provisions where we operate. Learn more about the missions house.